Fast Repairs Done Right – every time! 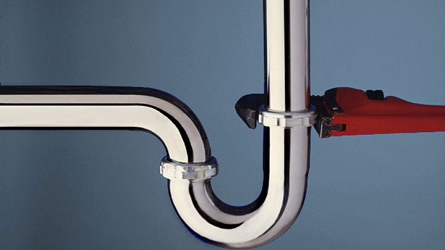 If you have a plumbing problem in your home or business, call us for fast, professional service. There’s a long list of things that can go wrong in any home – no heat or AC, clogged toilets, cracked or leaking sinks or pipes, hot water heaters leaving you with cold water, drain problems, and low water pressure. We’ve seen just about everything and know how to fix it all! We offer guaranteed estimates for most any residential or commercial service – the price we quote will be the price you pay. If you’re building a new home, remodeling a kitchen or bath, or just installing a new sink or disposal, we can handle all of your plumbing needs. We take pride in staying on schedule and on budget. Ask us for references from the Massachusetts and New Hampshire residents we have served over the last 30 years. Install, repair or replace leaky, frozen and pinhole pipe leaks. We have provided quality plumbing service to general contractors, property managers, home builders, commercial and industrial buildings and warehouse facilities for over 30 years in New Hampshire and Massachusetts. We offer design build, new construction, tenant improvement, plan check submittals and ADA retrofits. Whether you are constructing a new building or upgrading an existing one, call us to speak to our commercial plumbing services coordinator. We offer emergency service 24/7. Give us a call and we’ll get someone out as soon as possible, often within the hour. Our goal is to resolve the problem quickly and keep your business or building operational. From a simple (or not-so-simple) drain clog to running new sewer lines to installing a new water heating system, we can handle any commercial plumbing project or repair you throw our way. And you can count on our team to give you sound advice about continuing to repair a system and when it makes sense to replace it.